The Office of the Inspector General for the Social Security Administration reviewed many of the Social Security disability cases which Mr. Conn represented those seeking disability. After reviewing those cases, the Inspector General notified the Social Security Administration, as required by section 1129(1) of the Social Security Act (Act), that there was reason to believe fraud was involved in certain cases involving evidence from four specific medical experts dated between January 2007 and May 2011, and submitted to the Social Security Administration by representative Mr. Conn or other representatives associated with Mr. Conn’s law office. 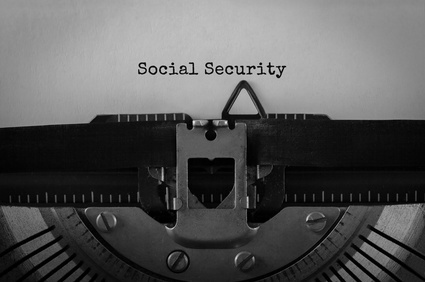 Under Sections 205(u) and 1631(e)(7) of the Act, the Social Security Administration was required to re-determine an individual’s disability case when there is reason to believe fraud or similar fault was involved in that individual’s application for benefits. In conducting a re-determination, the Social Security Administration had to disregard any evidence from the four specific medical experts used by Mr. Conn dated between January 2007 and May 2011, and submitted by representative Mr. Conn or other representatives associated with Mr. Conn’s law office. If the prior Administrative Law Judge decision relied on evidence from one or more of these providers to find the beneficiary disabled then that case was reviewed by the Appeals Council. On review. the Appeals Council disregarded the evidence from these providers and then determined whether the prior decision was supported by a preponderance of the remaining evidence. If the Appeals Council found that the decision was not supported by a preponderance of the evidence then the case was remanded to an administrative law judge for a new hearing and further redetermination proceedings under Sections 205(u) and 1631(e)(7) of the Act. Many of the persons whose cases were being heard again lived in Kentucky and West Virginia. AppalReD, also known as the Appalachian Research and Defense Fund of Kentucky, located in Prestonsburg, Kentucky began to represent many of these people. However, because of the numerous cases, private attorneys across the nation who practice Social Security disability law volunteered their time, without charge, to also represent these people at the new hearings. Many cases were won but some were lost. Many of those who lost their cases at the new hearing are in the process of appealing their cases to the Appeals Council and the Federal District Court.